Welcome to the web site of the BUST HALF NUT CLUB (BHNC). 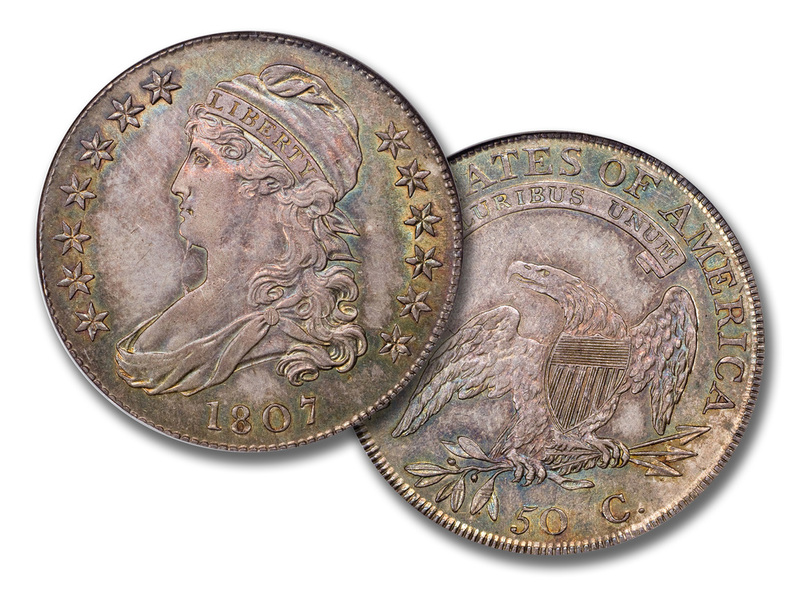 This organization is dedicated to the collecting and study of the early United States half dollars minted from 1794 through 1836, commonly called Lettered Edge Bust Halves. The BHNC could be best described as a group of individuals whose main focus and interest, in fact specialty, is devoted to the collecting and study of the early United States half dollars, which were struck at the first and second Philadelphia Mints, using a hand operated screw press. The BHNC currently consists of over 100 active collectors scattered across the country, whose primary goal is to assemble as complete as possible, a set of early half dollars by die marriage (and possibly even by die state/stage), as described in the most current book on the subject. The BHNC is really not a club in the traditional sense. When first informally started in 1966 with six charter members, there were no by-laws, elections, or club officers; just correspondence by mail, telephone, occasional road trip gatherings and meetings at coin shows. It was not until the 1969 ANA convention in Philadelphia, that the first "official" BHNC club meeting took place, with nine members in attendance. Since that time, there have been annual member meetings at each years ANA convention and these have now been expanded to each January FUN show convention. Out of necessity, certain club positions have evolved during the ensuing years; a club manager, treasurer, census keeper and newsletter editor. Unlike most clubs or organizations, whose only requirement to join is to send in the dues and you are automatically in, the BHNC is more selective. Certain requirements have been established before acceptance of any potential member. These requirements are more fully explained on the MEMBERSHIP INFO page. MDS of the "Bearded Goddess"